Meet Baby Chanco and her Big Hair! A 6-month-old Japanese girl has captured the hearts of Internet users everywhere. Not only does she have large, adoring round eyes and chubby, cheeks on flawless baby skin but also a voluminous head of hair. Quite like Elvis hair! Baby Chanco, as she’s called, now has more than 100,000 Instagram followers since the first photo of her full, dark hair appeared on the social media site. This beautiful Japanese baby was born in December 2017 with a head full of hair and it continues to grow! Her Instagram account, titled “Hair Diary,” features photos of the infant napping, playing, enjoying bath time and even getting a hair cut. 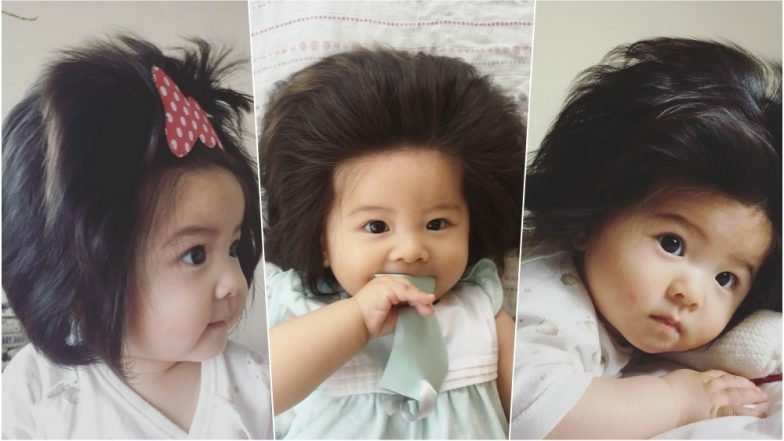 With her impressive hair, baby chanco is on her way to baby stardom! Check her hair out! Did you have this much hair as a baby? !